Qi Men Dun Jia, loosely translated into English, means Mystical Doors Hiding Jia Wood. Sometimes, one calls it Wondrous Door Escape System. Nevertheless, English words can never aptly describe the essence of the meaning behind it. Maybe I will just literally name it “Yi-Bing-Ding and 8 Doors Hiding the Jia wood” system to give a more complete description. Yi wood or Bing or Ding fire coupled with a good Door will usher in good energy – put simply – that is the crux. Frankly, this system is not about hiding and concealing you when you are in trouble although you can use it to do so. We are not trying to teach you to be coward or elusive. In fact, by learning this art, you can better confront your challenges and tweak the situation so that it becomes favourable to you. Afterall, this system was originally invented to assist the emperor to win wars. I believe military troops are trained to be fighters and warriors ready to die for their country. In a modern society context, say you are going for an interview and you hope to perform well and impress the bosses. You have learnt date selection but you realise the timing for interview is not auspicious. Does it spell doom? Fortunately not, because even you can’t dictate the time, Qi Men Dun Jia is able to offer you 8 different pathways to take so that you can pick the correct one to succeed in your endeavours. Of course the skill lies in the practitioner to calculate and identify which is the right Door to pick to “enter”. Door here means the direction that you should head towards so that the good energies can embrace you. In my Qi Men Dun Jia Practitioner course I will go into details about the applications. Good energies are made up of good Door, good heaven stems, good deities and good stars. Sometimes, one will also get good Qi Men Dun Jia special formation from that specific direction. To score in your interview, I will suggest to use Scene Door plus a good stem. What about the not-so-good-doors? Are they useless? To me, all 8 Doors can be used. It really depends on what do you want to achieve out of it. If you are a debt collector who is dealing with a recalcitrant tenant, then you can use Fear Door so that this guy will pay you. What about Death Door? Sounds so morbid right? Will I die if I use it? The answer is no. You can use it to attend funeral and be perfectly fine. For some of you who are new into Qi Men Dun Jia, the 8 Doors are namely, Open, Rest, Grow, Hurt, Hide, Scene, Death and Fear. In Chinese, they are 开，休， 生， 伤， 杜， 景， 死， 驚. For Qi Men Feng Shui Date Selection application, picking the right Door will usher in the outcome that you specifically have aimed for. In the previous classes, I have shared with students on various Qi Men formations for ushering business, burial, increase chances of having baby, promotion and etc. 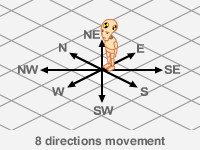 In this San Yuan system of Qi Men Date Selection, you and your client should also wait for phenomenon to happen before you activate your feng shui. This is the sign from heaven that the right moment has arrived. When you learn this art, you know you can control the outcome. Just remember to enter the right Door.